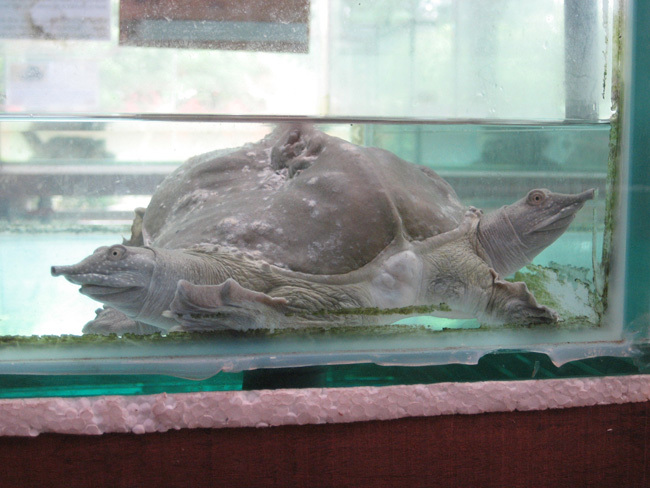 Found in the turtle zoo, Chinese Garden, Singapore, June 2007. Seems perfectly happy although there is some competition for body navigation at feeding time. It has 6 legs as well!